Events – ShoreTV New Jersey – Watch It, Live It, Love It. Tom Morello is a turn-it-up to 11 kind of guy. So the “The Atlas Underground Live: The Last Big Event Before We All Go To Jail” tour show on Tuesday, May 7, at the Stone Pony in Asbury Park should be quite an experience. Tom Morello raises his fist in the arm during a solo during the “I Am The Highway: A Tribute to Chris Cornell” honoring the late Soundgarden singer at The Forum in Inglewood, CA on Wednesday, January 16, 2019. 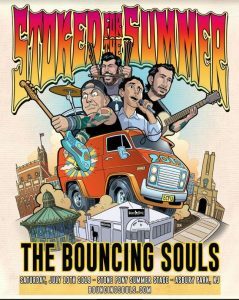 Tickets, $29.50 in advance and $35 at the door, go on sale 10 a.m. Friday, Feb. 22. 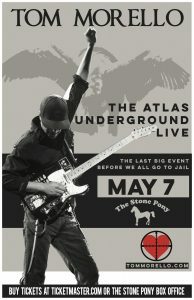 Presale tickets available go on sale 10 a.m. Wednesday, Feb. 20, with the password “atlasunderground” at tommorello.com. 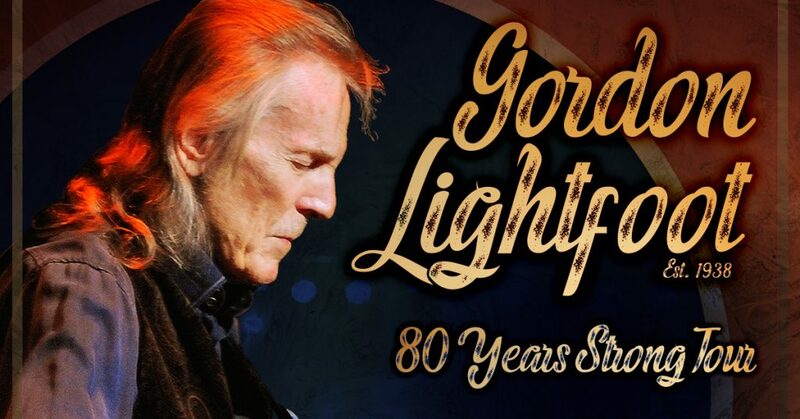 After more than 50 active years of hit song making and international album sales well into the multi-millions, it’s safe to say that esteemed singer-songwriter and musician Gordon Lightfoot resides with some very exclusive company atop the list of all-time greats. His song catalog is incredibly vast and includes such immortals as “Early Morning Rain,” “If You Could Read My Mind,” “Carefree Highway,” “Sundown,” “(That’s What You Get) For Lovin Me,” “The Wreck Of The Edmund Fitzgerald,” “Canadian Railroad Trilogy,” “Ribbon Of Darkness,” “Beautiful,” “Song For A Winter’s Night” and “Rainy Day People” to name a few. 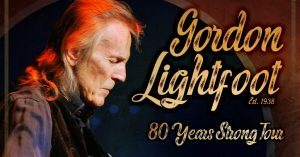 Celebrating his 80th birthday, this year is special for the legendary artist, who has announced plans for a cross-country USA tour entitled “GORDON LIGHTFOOT: 80 YEARS STRONG TOUR”. The tour will feature his well known hits as well as some deep album cuts for the die-hard fanatics. All of which are woven together with some of Lightfoot’s own behind the scenes stories and personal anecdotes about his historic 50-plus-years musical career and his 80 years of life. The event is sure to be a great thrill for live audiences and anyone who enjoys hearing great music and seeing a living legend in person. 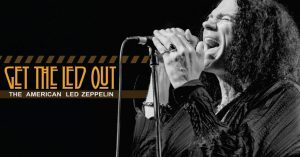 From the bombastic and epic, to the folky and mystical, Get The Led Out (GTLO) have captured the essence of the recorded music of Led Zeppelin and brought it to the concert stage. The Philadelphia-based group consists of six veteran musicians intent on delivering Led Zeppelin live, like you’ve never heard before. Utilizing the multi-instrumentalists at their disposal, GTLO re-create the songs in all their depth and glory with the studio overdubs that Zeppelin themselves never performed. When you hear three guitars on the album…GTLO delivers three guitarists on stage. No wigs or fake English accents, GTLO brings what the audience wants…a high energy Zeppelin concert with an honest, heart-thumping intensity. 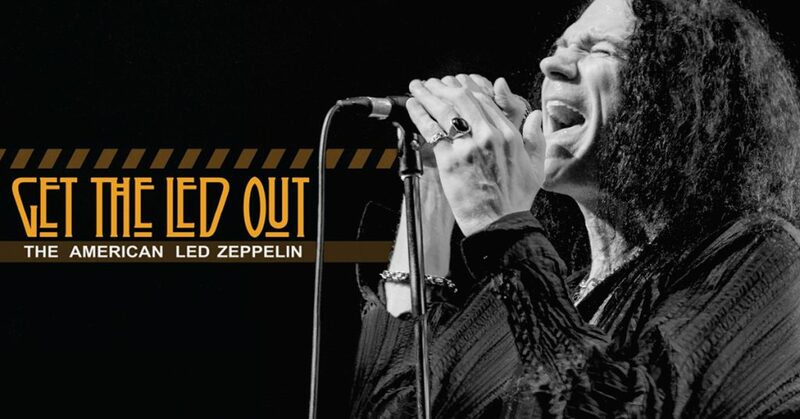 Dubbed by the media as “The American Led Zeppelin,” Get The Led Out offers a strong focus on the early years. They also touch on the deeper cuts that were seldom, if ever heard in concert. GTLO also include a special “acoustic set” with Zep favorites such as “Tangerine” and the“Battle of Evermore” being performed in its’ original instrumentation with guest singer Diana DeSantis joining the band. For the last twenty-five years, Bill Maher has set the boundaries of where funny, political talk can go on American television. First on “Politically Incorrect” (Comedy Central, ABC, 1993-2002), and for the last fifteen years on HBO’s “Real Time,” Maher’s combination of unflinching honesty and big laughs have garnered him 33 Emmy nominations. In October of 2008, this same combination was on display in Maher’s uproarious and unprecedented swipe at organized religion, “Religulous,” directed by Larry Charles (“Borat”). It remains among the highest grossing documentaries of all time. He started his career as a stand-up comedian in 1979 and still performs over fifty dates a year in Las Vegas, and in sold-out theaters across the country. Three of his nine stand-up specials for HBO have been nominated for Emmy awards. 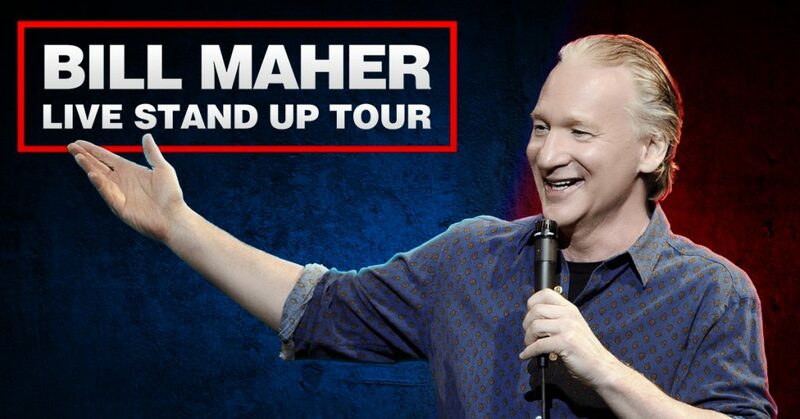 Maher was born in New York City, raised in River Vale, New Jersey, and attended Cornell University. He now resides in Los Angeles. Mike Marino – affectionately known to millions of his fans worldwide as New Jersey’s Bad Boy – is one of the most loved comedians of our time. He has performed in every major comedy club, theatre, casino and event center from New York to Los Angeles and around the world. Mike has also shared the stage with some of the biggest names in the business. Mike Marino was born in Jersey City, New Jersey. He entered the entertainment industry at an early age and has studied at some of the most prestigious acting schools in New York, the Herbert Berghof Studio and the American Academy of Dramatic Arts. 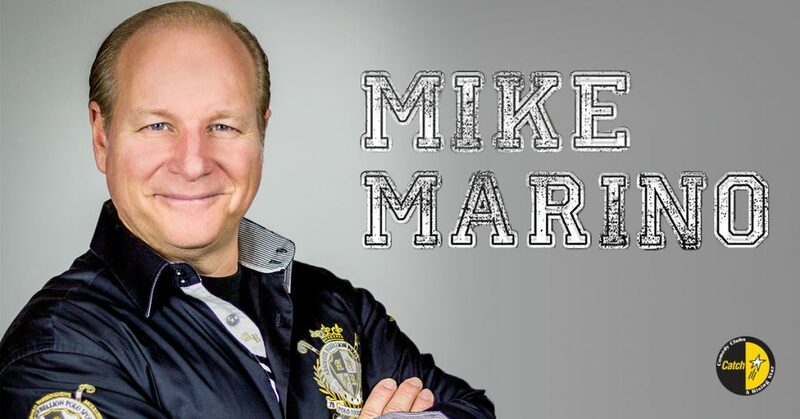 Mike has appeared in over 200 national television commercials, including many endorsements and has received a Best Actor Clio Award Nomination. He has acted in many Prime Time soaps and television shows including: As the World Turns, One Life to Live, Becker, Nikki, Frasier and Party of Five. His film credits include Crooks, Pizza with Bullets, Hangin’ in Hedo and Steven King’s Lucky Quarter and Criticsized. Adding to his great success in film, theatre, commercials and soaps, Mike Marino began touring the world performing and selling out at countless clubs, theatres and casinos. His stand-up material ranges from cutting edge observations of everyday life to his Italian family roots; which recently spun into a T.V. pilot called “Re-Constructing Jersey”. His comedic style has landed him guest appearances on The Tonight Show as a regular sketch player, The Martin Short Show, Canada’s Comedy TV, The Boomer Show, Wild Pitch, and Hand Held Comedy Radio. A clip of Mike’s appearance on Byran Allen’s Comics Unleashed earned him over 7 million views (and counting), which has led to his current web series “Marino 2016” – an original comedy based on Mike’s road to the White House and wise guy attempt to become the first Italian American President of the United States. 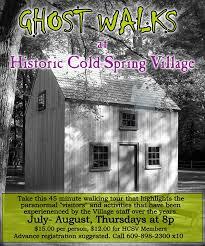 Meet at Cold Spring Brewery for this over the 45-minute walking tour. 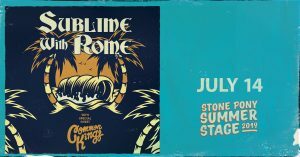 Please bring bug spray. Tickets available at either gate during operating hours or at Cold Spring Brewery thereafter. Weather permitting. To purchase tickets in advance, please click on the red Book Now button at hcsv.org! Fourteen years into an effervescent career, California reggae band and touring juggernaut Rebelution remains abundantly creative. 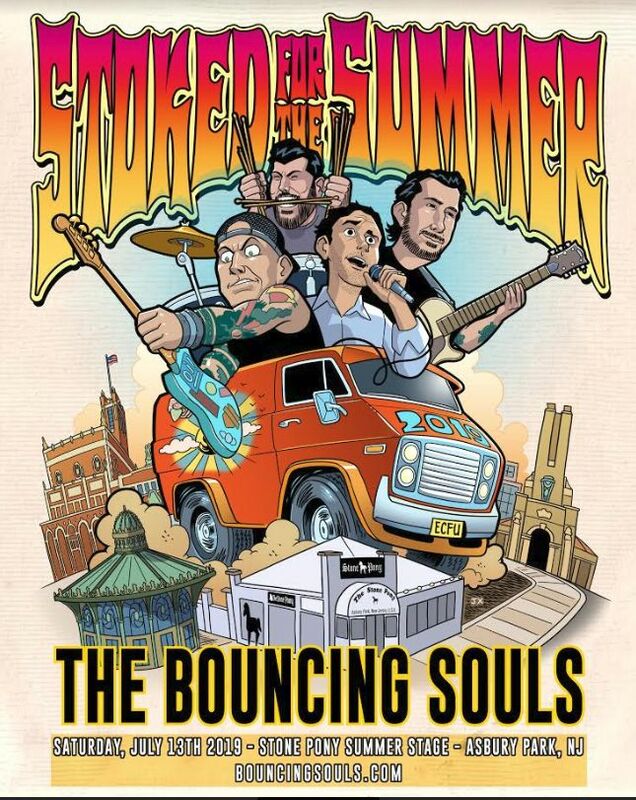 Its members (singer/guitarist/lyricist Eric Rachmany, keyboardist Rory Carey, drummer Wesley Finley, and bassist Marley D. Williams) are as focused and committed as they are easygoing and laid-back. And they haven’t lost a step since Falling Into Place, their 2016 studio album, became the band’s fourth release to top the Billboard reggae chart, earning them their first ever Grammy nomination in the category of Best Reggae Album. Ever expanding and reaching wider audiences, the Rebelution phenomenon continues to spread good vibes on tour, and in the studio. Free Rein, their sixth studio album, while still rooted in the Jamaican inspiration that Rebelution’s songs and sounds have always paid homage to, takes experimental leaps and new adventures too, welcoming old fans and new audiences alike. The musicians collaborated with Jamaican artists on three of the 12 new tracks. Don Corleon (Sean Paul, Rihanna) produced “Rise On Top,” a pointed reflection on celebrity and ambition; and Winta James, producer for Damian Marley and Chronixx, worked with the band on “Settle Down Easy” and “City Life,” two songs that reflect a more confessional perspective. “Celebrate,” the new album’s opening track, nods to the classic Rebelution sound. It has special meaning for the band too. In their long months on the road they’ve met fans with health struggles who’ve said that their music has helped them get through tough times. An energizing shout-out to one and all, the song celebrates the oneness of artist and audience. Other tracks take a wider perspective. “City Life” is one that hits home for Rachmany. “There are moments,” he says, speaking for urban dwellers everywhere, “when I just want to get out and find some solitude and find the beauty of mother nature.” The uptempo groove conveys the positive energy of this universal desire. The band remains in touch with the traditions that it builds on. Much of the style, the songwriting, and the quality of the instrumentals derive from Jamaican roots, says Rachmany, stressing what an honor it is that producers from reggae’s birthplace signed on to work with Rebelution. Manifesting the singer’s love for acoustic guitar are two quieter numbers, one of which, “Healing,” takes the long view: “I wrote that song to remind people that life is always worth living, and to provide some healing energy to a person listening.” Again, always making that connection with the audience. Rebelution formed in Isla Vista in 2004 when a group of college friends discovered a mutual love for reggae. After their debut album Courage to Grow reached #4 on the Billboard reggae chart, there was no stopping them. Many more releases followed, and in 2012 Peace of Mind debuted at #13 on the Billboard Top 200, hit #1 on both the Reggae and Independent charts, and was the #4 iTunes album overall. 2014’s Count Me In made an even bigger splash than its predecessor, entering the Reggae chart at #1 and the Billboard overall chart at #14. 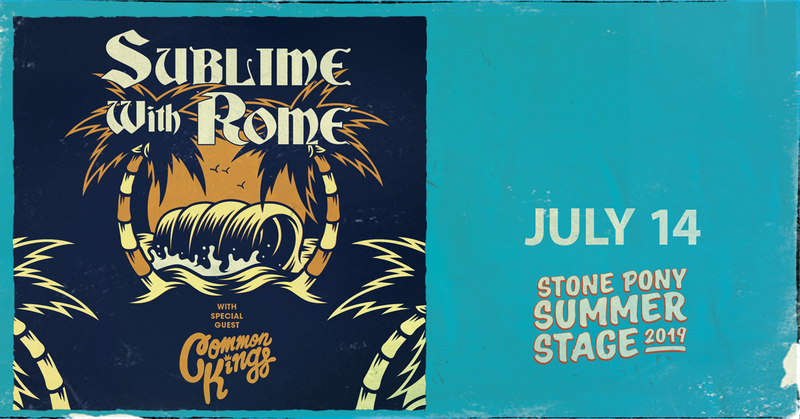 Then came the Grammy-nominated album Falling Into Place and the Rebelution concert experience, Live At Red Rocks. With Free Rein, Rebelution is poised to continue spreading the joy. The band boasts an impressive 85 million spins on their Top 5 Spotify tracks alone, and will continue playing sold-out shows as well as taking the coveted headlining slots at some of the nation’s top festivals this year. Additionally, Rebelution continues to transcend the world of music and break barriers with their entrepreneurial prowess. They recently launched their own four-night destination event on the beach in Jamaica and released their customized cannabis oil battery pen, herb vaporizer, and oil, which are currently available in select dispensaries in California, Colorado, Nevada, and Oregon. The journey rolls on.